While some android devices comes with inbuilt call recording features, some in the other hand lacks this amazing feature especially older devices. 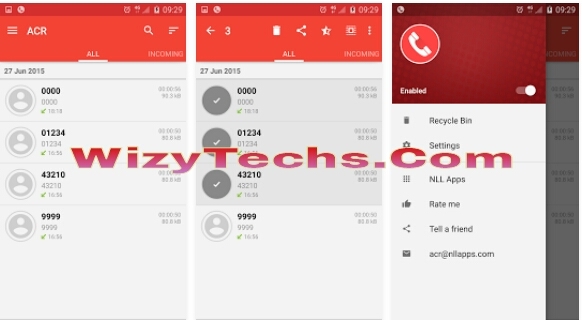 In other words, the inbuilt ones usually misbehaves most time while in use that is why am bring to you these alternative applications you can use to record any call of optimal interest to you. 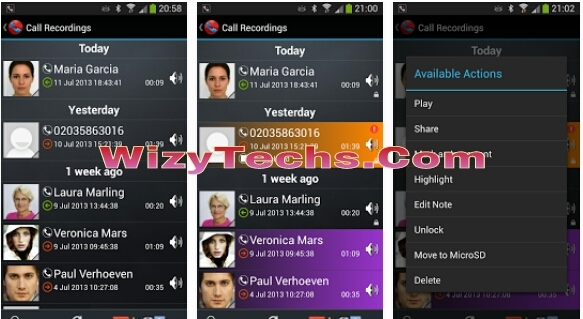 Here comes another mighty call recording application that is totally free of charge to download and use. This app has the option to let you set the calls that are recorded and the ones that should be skipped. There you have them. With any of these call recording apps, you can be able to track your voice calls, listen back to calls you had already made and examine how you speak on phone and make possible corrections next time. If you have any other call recorder you have used and find it worthy to be on the list, let us know by stating the name on the comments box below. D one dat av been using for D past 2yrs naw is Androrec,is very small buh mighty, it record calls automatically, easy to use&user friendly. Lemme start off by commending you for your good works here. Two of my phones have inbuilt recording apps that does the work of automatically recording all my calls.